A family in Texas is stupefied after what should have been a simple flu shot ended up sending their 9-year-old daughter to the hospital. Brianna Browning was perfectly healthy in the beginning of October. ​The 9-year-old has been in the hospital every day since she received her flu shot on October 17. Since getting the shot, Brianna has been losing her vision and become paralyzed, her parents told KTRK. Everything went downhill after the 4th grader received the shot at school on October 15. The 9-year-old from Gavelston was transported to Texas Children's Hospital's Medical Center. Doctors were not certain what made these medical events occur, but Brianna's family has suspicions of their own. Faulk added that her little girl was perfectly healthy before the shot, "No symptoms, no sickness." Doctors have since been able to diagnose the 9-year-old with Acute Disseminated Encephalomyelitis (ADEM). Acute Disseminated Encephalomyelitis (ADEM) Disorder A brief but intense attack of swelling in the brain and spinal cord and occasionally the optic nerves that damages the brain's myelin. Her parents still believe that the ADEM was onset by the flu shot. According to her GoFundMe page, "Doctors say her recovery could take up to one year and will not completely recover." Annual flu shots are recommended by the Centers for Disease Control for anyone over the age of 6-months. The only people who should not receive a shot are those with egg allergies or who have had adverse reactions before. 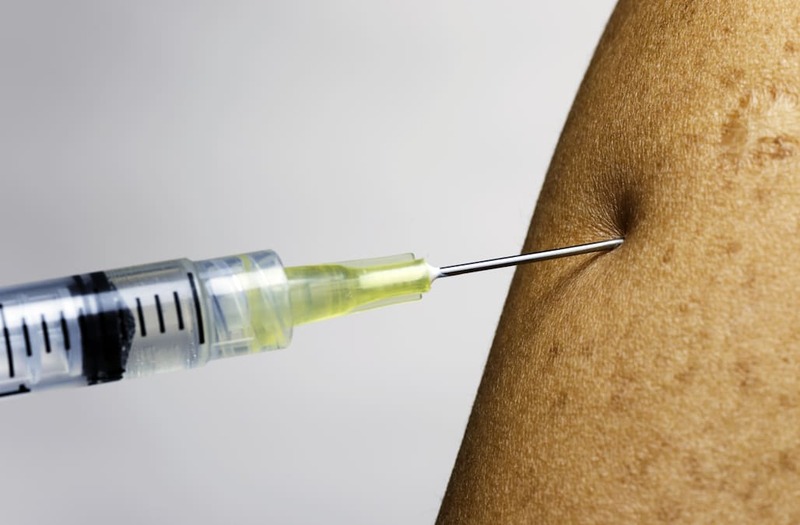 Dr. Umair Shah advises that flu shots are usually extremely safe. Although reactions do happen, they are usually mild. "There are a lot of myths that are out there," the Executive Director of Harris County Public Health and Environmental Services stated to KTRK. For all anyone knows, Brianna could be the small portion that fits into that group. All they want, according to KTRK, is to share Brianna's story with the world and for the girl to make a full recovery.